Art Deco aquamarine bracelet by Hardy Bros. Product code: 1621 Categories: Sold Items, Sold Jewellery. 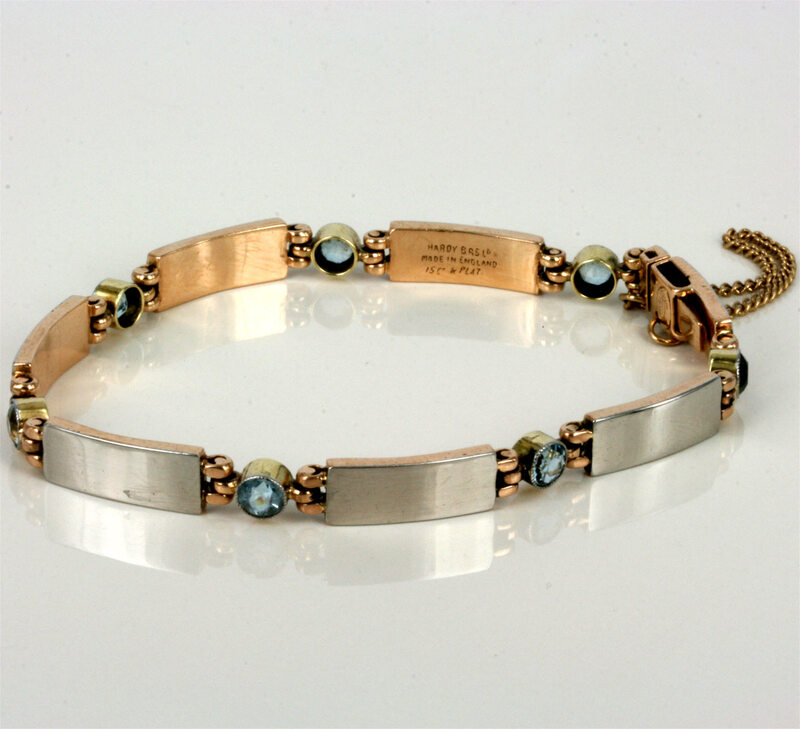 This is a magnificent Art Deco bracelet made in 15ct gold and platinum and set with 7 wonderful blue aquamarines. Platinum was the metal of choice of the jewellers of the Art Deco 1920’s that was often “married” with gold – in this case 15ct gold to add colour to the piece. Made in the 1920’s by Hardy Brothers, the design of this bracelet is so elegant and stylish and would look simply superb day or night. 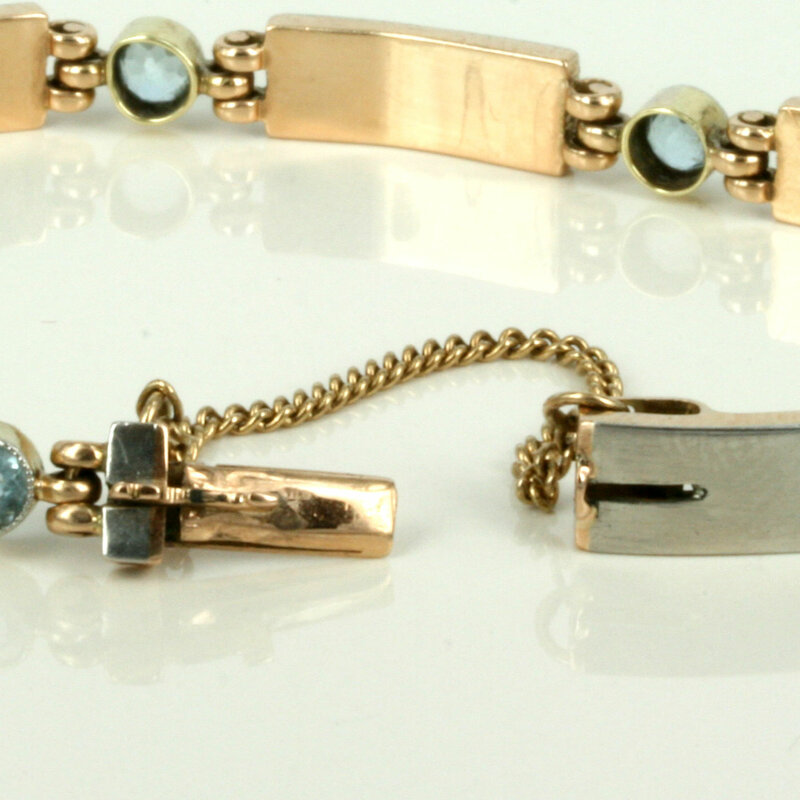 The aquamarines in this bracelet are all millgrain set where instead of just a bezel setting they have that beautiful and very refined “crimping” around the bezel that adds so much charm and character and is so typical of the setting of the Art Deco period. There is something about the soft blue that aquamarines have that have made them so popular in jewellery even today and the seven aquamarines are matched perfectly for colour and size. The colour combination of the gold and platinum work so well with the blue from the aquamarines, and is such a wearable bracelet which will always be commented on.